Enjoy good companionship, great cars, family atmosphere and more every Saturday from mid-May through Mid-November(weather permitting). 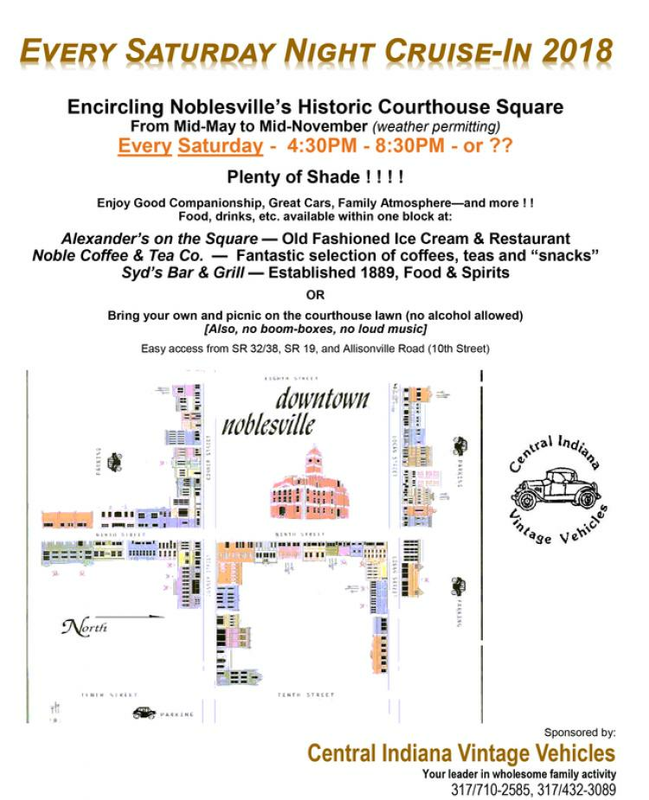 The Saturday-Night-Cruise-Ins are 4:30pm to 8:30pm around the Courthouse Square. Enjoy the local eateries or bring your own picnic for the lawn.